MIT chemists have devised a way to detect hazardous gases and environmental pollutants using an NFC-enabled sensor and a smartphone. 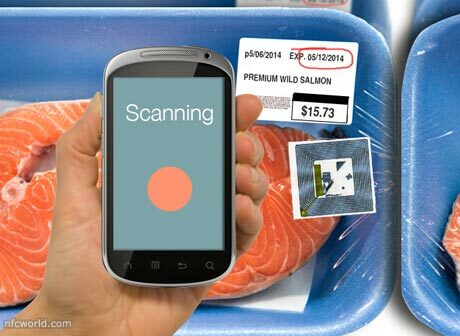 The low cost of the sensors means the technology could be widely deployed as a way to monitor food spoilage as well as to detect the presence of other hazards such as explosives, the researchers suggest. The gas-detecting sensors are based on devices known as chemiresistors which consist of simple electrical circuits modified so that their resistance changes when exposed to a particular chemical. Measuring the change in resistance reveals whether the target gas is present. Unlike commercially available chemiresistors, the sensors developed in Swager’s lab require almost no energy and can function at ambient temperatures. “This would allow us to put sensors in many different environments or in many different devices,” he explains. The new sensors are made from modified NFC tags that use energy harvesting technology to gather the power they need from the device that is reading them. Then, to adapt these tags for their own purposes, “the MIT team first disrupted the electronic circuit by punching a hole in it. Then, they reconnected the circuit with a linker made of carbon nanotubes that are specialised to detect a particular gas. “In this case, the researchers added the carbon nanotubes by drawing them onto the tag with a mechanical pencil they first created in 2012 in which the usual pencil lead is replaced with a compressed powder of carbon nanotubes. The team refers to the modified tags as CARDs, chemically actuated resonant devices. “Current versions of the Cards can each detect only one type of gas, but a phone can read multiple Cards to get input on many different gases, down to concentrations of parts per million,” the lab adds. The next step, the team says, is to investigate the potential to use Bluetooth technology to expand the reading range of the sensors.